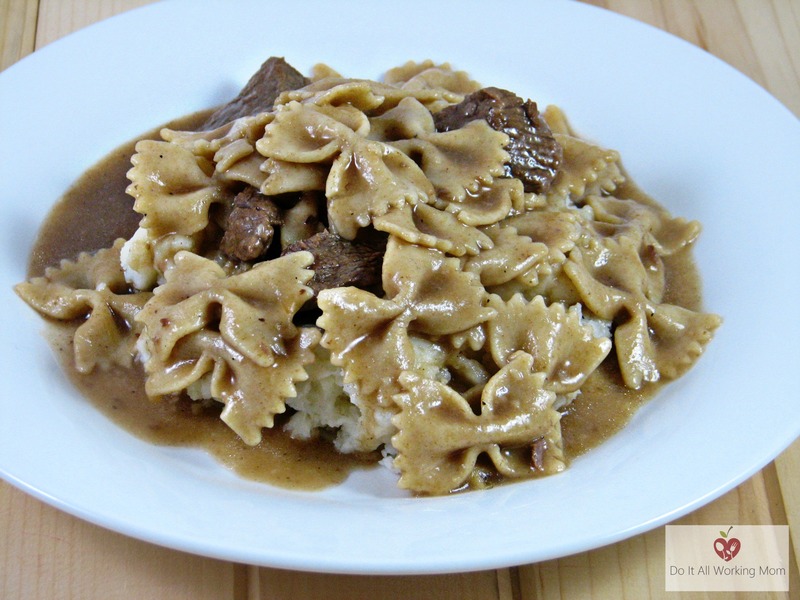 This is one of my mom’s recipes, she used to make this Bow Tie Pasta with Beef recipe a lot when I was growing up. It’s really easy to prepare, doesn’t require a lot of ingredients, and most of all; it’s totally delicious! In a large sauce pan, melt the butter at medium high heat. Add the chopped onion and sauté for a few minutes. 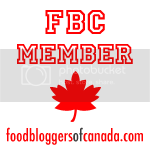 Add the stewing beef and brown on all sides. Season the beef with salt and pepper and add water to the sauce pan until the beef is completely covered. Cover, reduce the heat and simmer for about 2 hours. After 2 hours, add more water so that the sauce pan is filled half way. Add the pasta to the broth and cook until the pasta is tender. 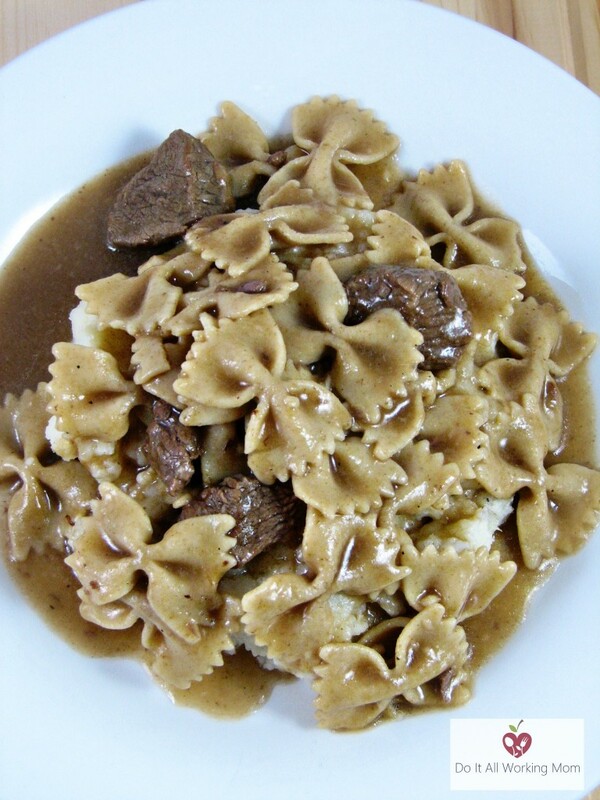 When the pasta is tender, add the beef stock concentrate, Knorr Veloutine and continue to simmer for a few minutes until the broth thickens. Serve just like this, or over mashed potatoes. 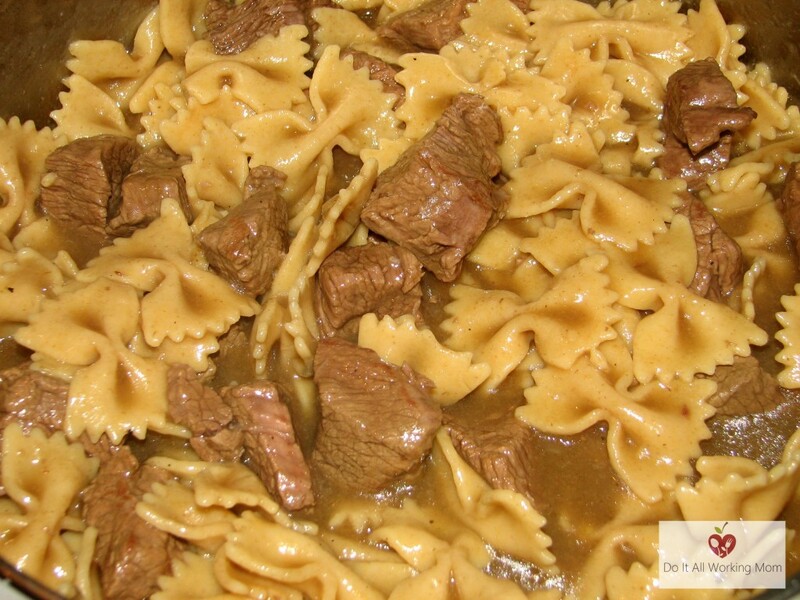 Hope you enjoy my mom’s Bow Tie Pasta with beef recipe. Add the stewing beef and brown the beef on all sides. Cover, reduce the heat and simmer for 1 1/2 to 2 hours. Add the pasta to the broth and cook until pasta is tender.